Northumbria was one of the great kingdoms of Britain in the Dark Ages, playing a key part in the creation of England. Yet it has been all but forgotten. 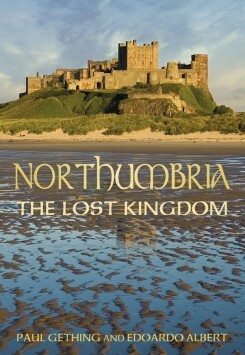 This book puts Northumbria back in its rightful place, at the heart of British history. From the impregnable fastness of Bamburgh Castle, the kings of Northumbria ruled a vast area, and held sway as High Kings of Britain. From the tidal island of Lindisfarne, extraordinary saints and learned scholars brought Christianity and civilization to the rest of the country. Written in collaboration with Paul Gething, archaeologist and director of the Bamburgh Research Project, this non-fiction book brings to light the latest discoveries of the archaeologists and historians bringing light to a previously dark era of history. The excavations at Bamburgh Castle have revealed a society of unsuspected sophistication and elegance, capable of creating swords and jewellery unparalleled before or since, and works of art and devotion that still fill the beholder with wonder.